Taste and aroma are the truest measure of a spirit’s quality. Alcohol burn overwhelms the truth, numbing the sense of smell and spoiling the experience. 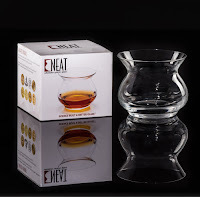 NEAT eliminates burn by separating and dissipating alcohol aromas away from the nose, so you can taste the truth. NEAT lets every spirit speak for itself. Science built a better glass. Competition Level Performance Official glass of 20+ prestigious spirits competitions for over 7 years. Spirits industry professionals, judges, critics, distillers, and discerning drinkers use NEAT. What’s hiding in your glass? Now you can taste the truth! NEAT displays all aromas for easy detection removing nose-numbing ethanol. The NEAT spirits glass tells the truth about spirits quality. 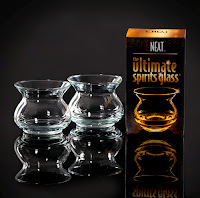 Whether you are a collector, expert, or a drinker who truly enjoys spirits, you will love the tasting experience the NEAT spirits glass provides. Unlike tulip glasses which concentrate the alcohol at your nose, NEAT allows you to savor all the subtle character aromas and nuances that define your favorite scotch whisky, bourbon whiskey, rum, tequila, gin, cognac, vodka, port, sherry, and liqueurs. Official judging, nosing glass of major spirits competitions since 2012, NEAT spirits glass lets every spirit speak for itself. 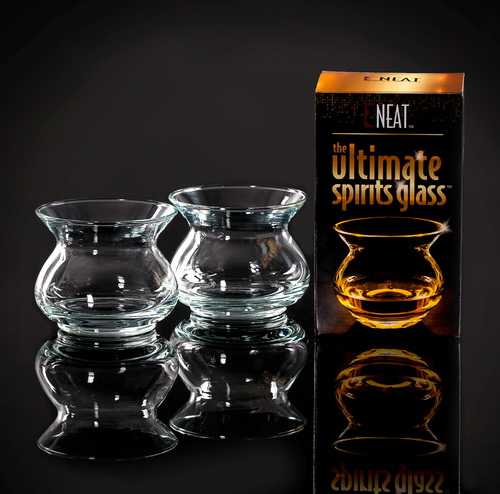 The NEAT spirits glass is the choice of taste makers and experts all over the world. The only spirits glass ever designed by science for the professional and serious spirits lover. Removes nose-numbing ethanol, delivers concentrated aromas and enhances your drinking experience by exposing true spirit quality. What’s hiding in your drinking glass? Taste the truth. You will never go back to a numb nose.